Family at dinner at refectory table. Adults sitting on stools, children appear to be standing. 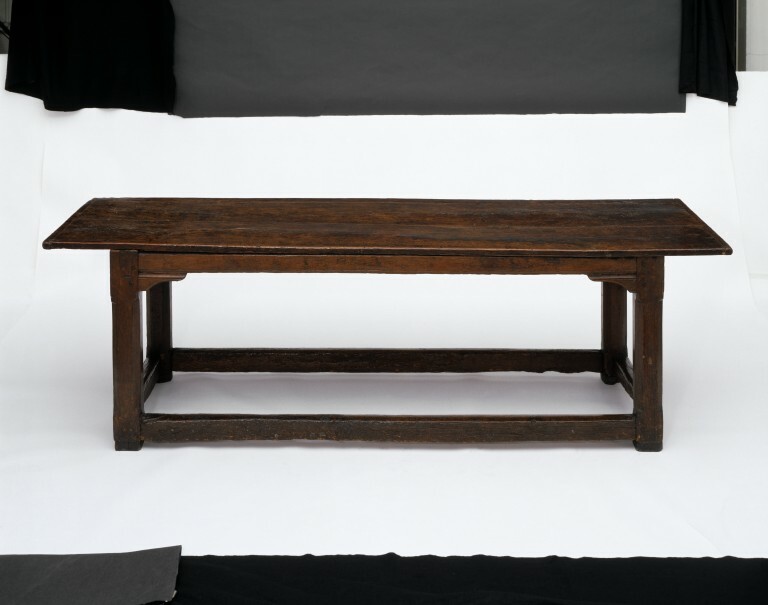 There are seven extant folding tables at Cotehele House, all made in the early to mid seventeenth century from timber grown and felled on the estate. Three are currently on display, one each of oak, walnut and chestnut. Each is made differently and has a slightly different locking mechanism. 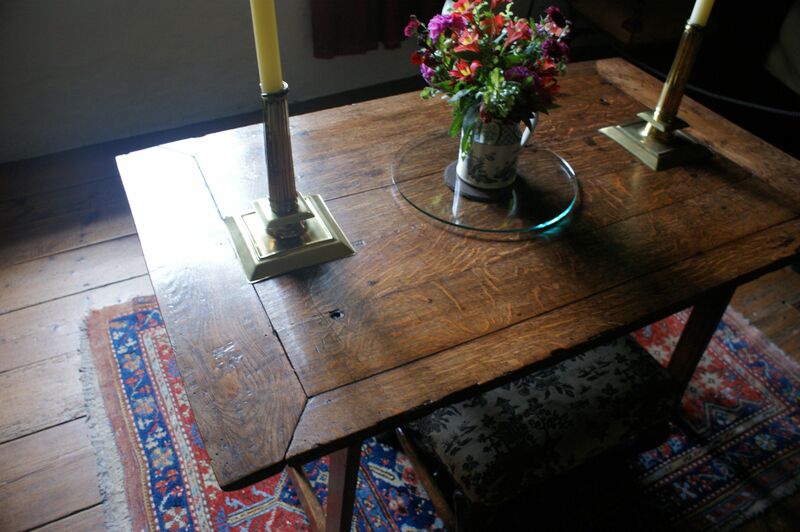 As a cheap and easy to make table, they weren’t much valued and as a result, few survive. School room with teacher, sat in an armchair, and pupils, sat on a bench. Early 17th century oak boarded stool. English c. 1600. Stools were perhaps the most common form of seating and were found in large numbers in any house. Sometimes they were upholstered en suite with the bed, chairs and curtains of a bedchamber. They were, however, reserved for people lower down the hierarchy than those entitled to a chair. 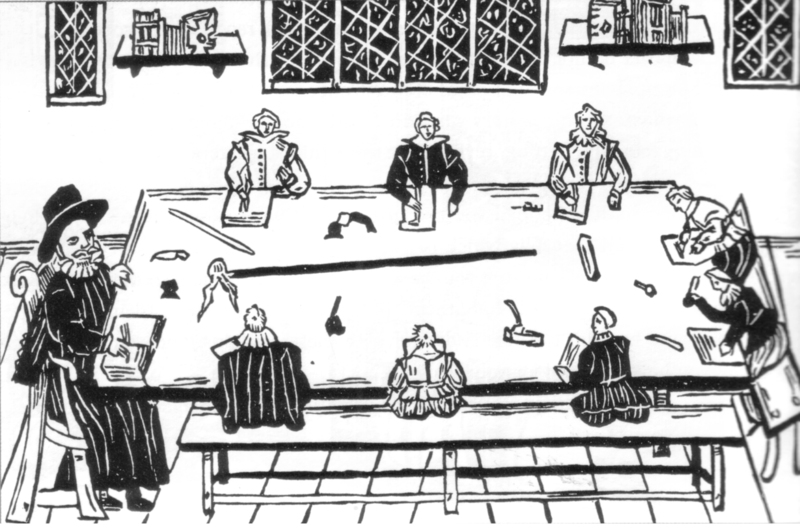 Randle Holme's Academy of Armory (1688) contains a table of everyday objects. 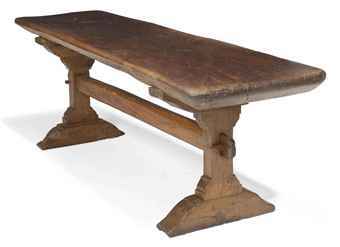 They include a 'joynt stoole', made up of a wooden seat set on four legs; an ordinary stool covered with upholstery, so more expensive; and a 'turned stoole', consisting of a triangular wooden seat placed just below the tops of three rounded or turned legs. 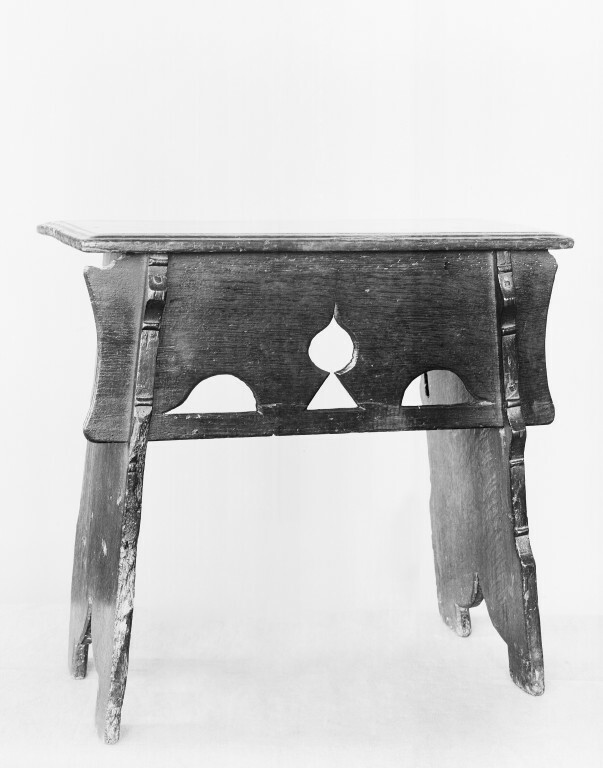 Early backstool, showing it's origin as a stool with a back added. Mid 17th century. 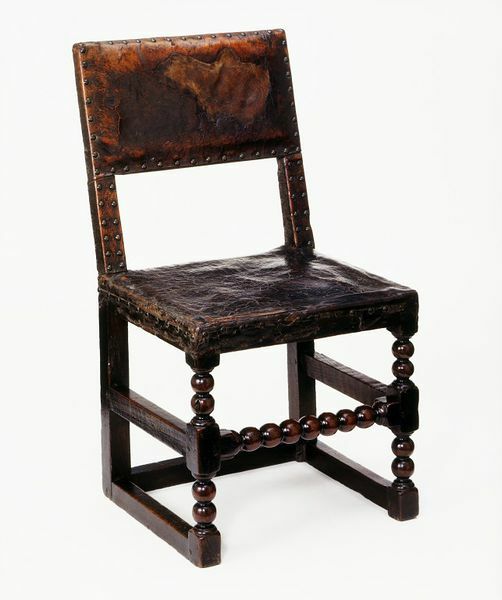 This is a remarkable survival of an early 17th-century 'backstool' with its original upholstery, nearly 400 years old. 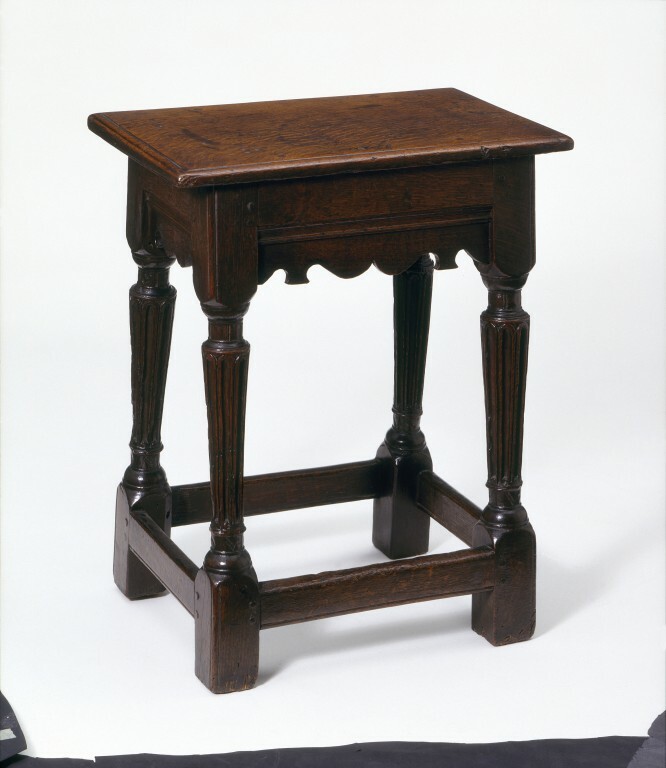 The 'backstool' was essentially a chair without arms, but as the name makes clear, it evolved by adding a back to a stool rather than by taking the arms away from a chair. Before this development, seating mainly took the form of stools and benches, and a house would have held at most one armchair, to be occupied by the most important person present (the owner or an honoured guest). 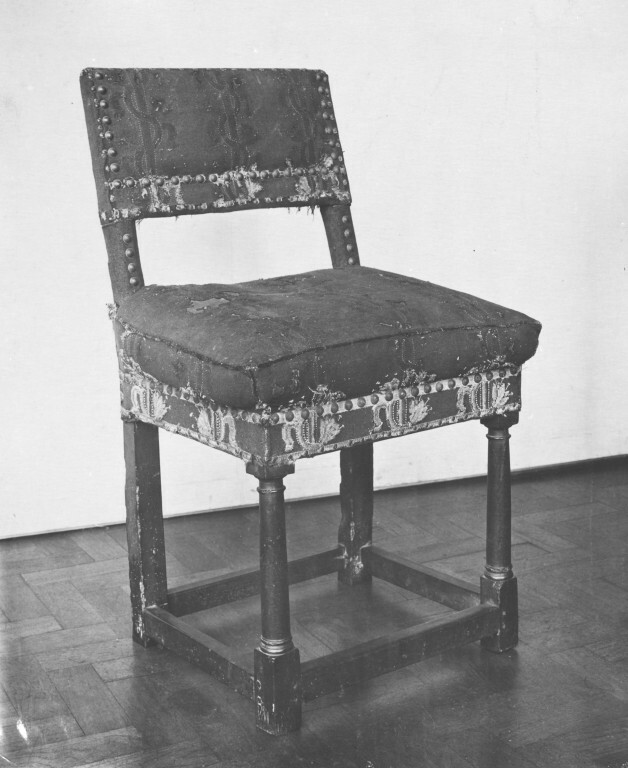 The seat of this chair, beneath the covers, is a fully-formed cushion - a ticking case filled with feathers - which has been nailed down to the frame. 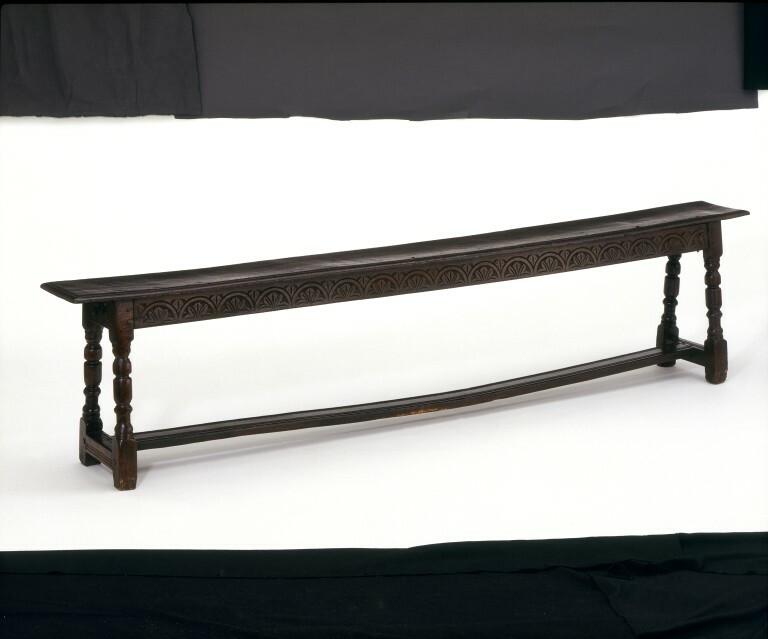 This way of forming the seat reveals its development from the use of loose cushions on top of a wooden seat, and marks the beginning of the practice of fixed upholstery. 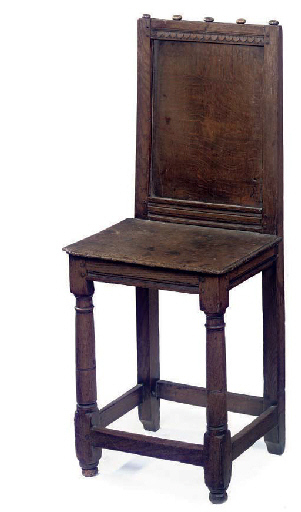 This is a typical small chair dating from about 1640-1660, made for use rather than display. The sturdy construction and leather covers would have withstood regular use, possibly as a dining chair. The seat is strengthened by a plain, square-section back and side stretchers, the lower ones at floor level. For more info see: http://collections.vam.ac.uk/item/O79080/backstool/ . 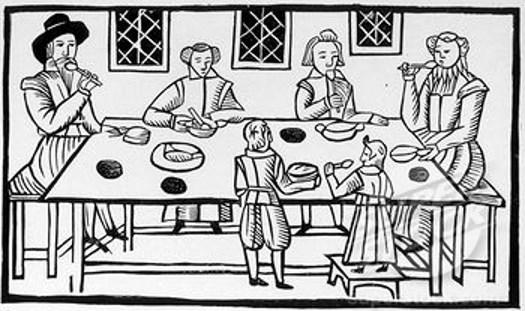 Frontispiece from "Matthew Hopkins' The Discovery of Witches (1647)", showing 'witches' identifying their familiar spirits, seated in armchairs. Oak. c. 1630-1660. 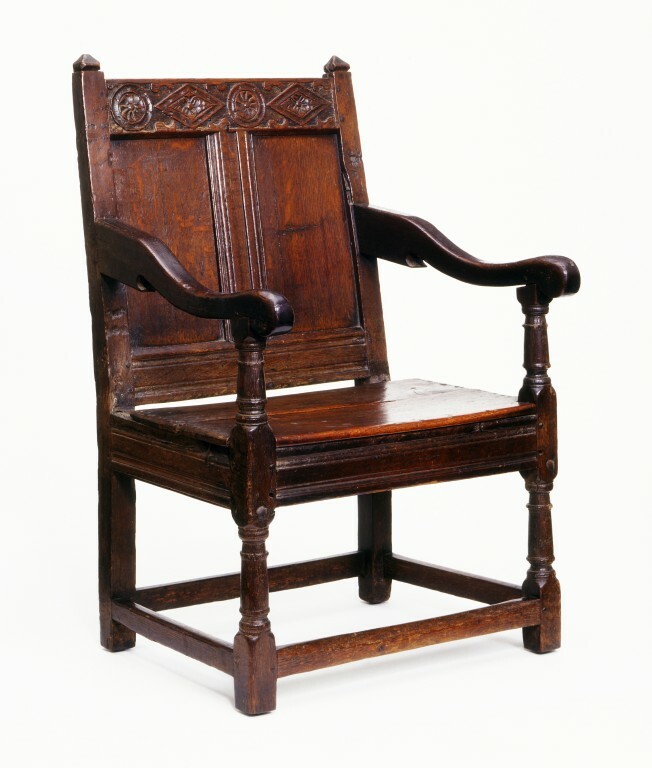 This simple and strong armchair was a common type in the 16th century. 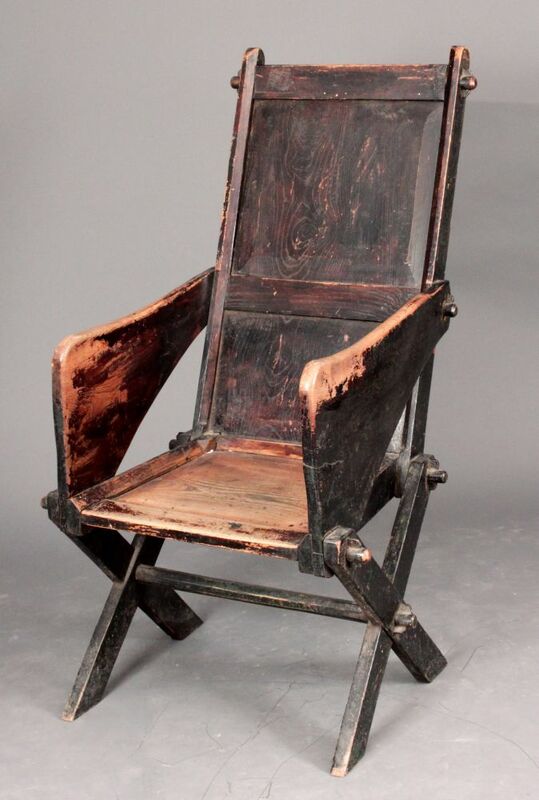 Chairs of this type would be used in large farms or manor houses. There would only be one or two of these chairs in the house; other household members would sit on benches, stools or simpler chairs. 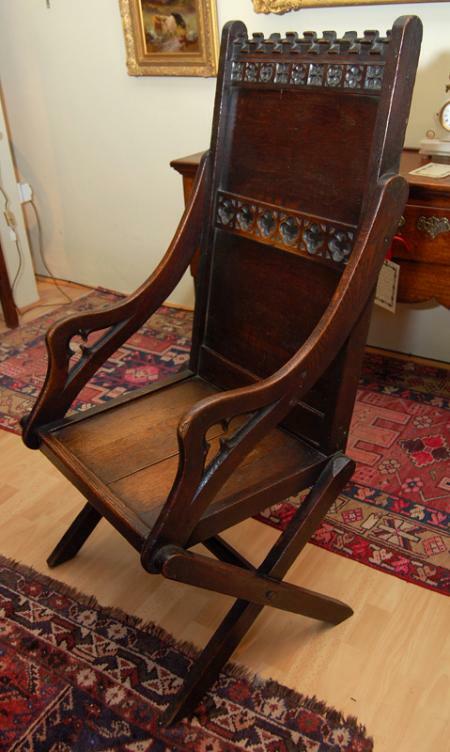 This chair is made entirely of oak, with decoration in the form of relief carving and turning. For more info see http://collections.vam.ac.uk/item/O79042/armchair/ . This type of chair has proved very useful to re-enactors as it knocks down flat for transportation. However the medieval style is not really suitable for 17th C re-enactment, so I was pleased to see the following high backed models which, although later than period, are a better alternative. With wonderful carvings and crenelation to the top rail. Still under construction – Chests, Cupboards, Settles, Beds and Children’s furniture to come.